Feather Dragonfly Garland - Decorate a room with these cheerful Feather Dragonfly Garlands. 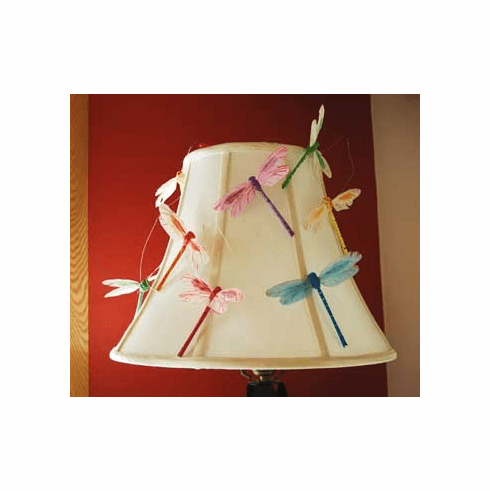 Hand carved and painted wooden bodies have life-like real feather wings, each dragonfly is securely fastened to a clear mono filament line for display by draping them across a lampshade, shelves or curtains, they also look great hung from the ceiling so you can watch them twirl in the breeze. Measures 78" in length with 9 dragonflies.